100% BCAA is an amino acid product of 100% purity. Amino acids are the building blocks of the proteins contributing to muscle mass growth and maintenance. 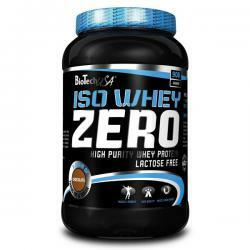 The powder product contains three essential amino acids – isoleucine, leucine and valine –, in a ratio of 2:1:1. 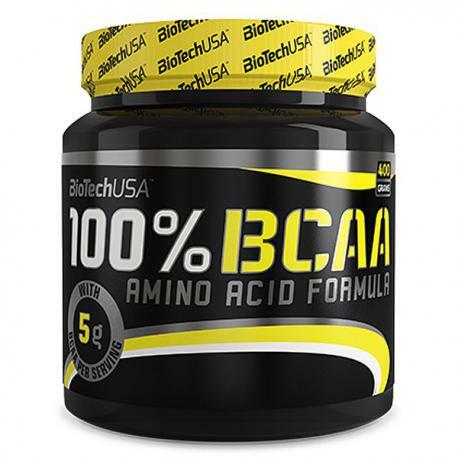 Due to their chemical structure, they collectively represent the group of branched chain amino acids (BCAAs). It’s an energy source consisting of pure and natural ingredients for athletes doing regular training or preparing for a competition. Due to the powder form and unflavoured formula of the product, it can be used in a number of ways. 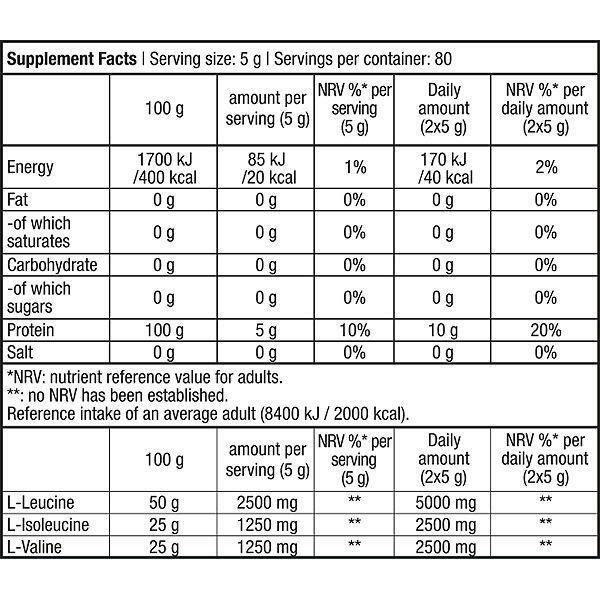 Added to other nutritional supplements or any food, it perfectly supports workout aimed at building muscles without fat. For best results, take one serving 30 minutes before or directly after workout.